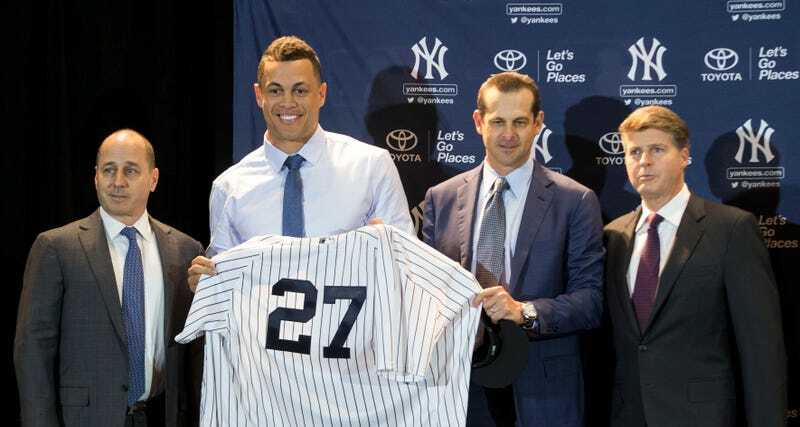 Giancarlo Stanton was officially introduced as the newest member of the New York Yankees today, and he didn’t bother feigning any reverence for the team he spent the first eight years of his career with. Under normal circumstances, that might be seen as callous, or just poor form. But Stanton has just escaped the Miami Marlins, who don’t deserve any well wishes from anyone, and so has every right to pull out the stops. Maybe Jeter should use one of his iPads to read up on how negotiations are supposed to work.